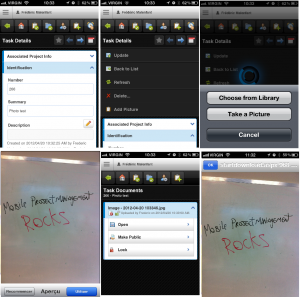 If you’re an iPhone user and access AceProject via the native app, you’ll be delighted to hear about this new feature. 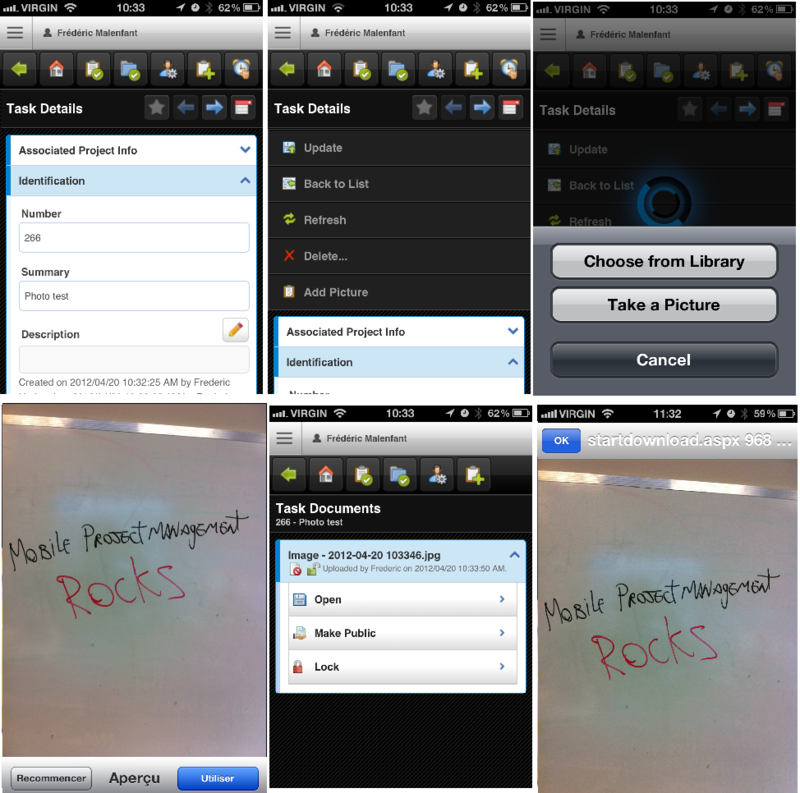 iPhone users can now take pictures and upload them as task documents. This feature also allows you to attach pictures from your iPhone library. Document upload wasn’t available before, but from now on, you’ll be able to use the power of your iPhone for contributing to your tasks! Here’s how the whole process works. Basically, you open a task, select “Add Picture” item from the top-right menu, and finally you click “Take a Picture” button. Your photo will be uploaded to your task. Isn’t that easy? For now, to speed up the picture upload process, we keep only 25% of the original size. More options are coming to allow you to choose the resolution before uploading. What do you think about this unique feature?